Historically the cabling life expectancy is 15-20 years, compared to 3-5 years for PC's and networking hardware, so the cabling system must outlive at least three generations of networking equipment upgrades. 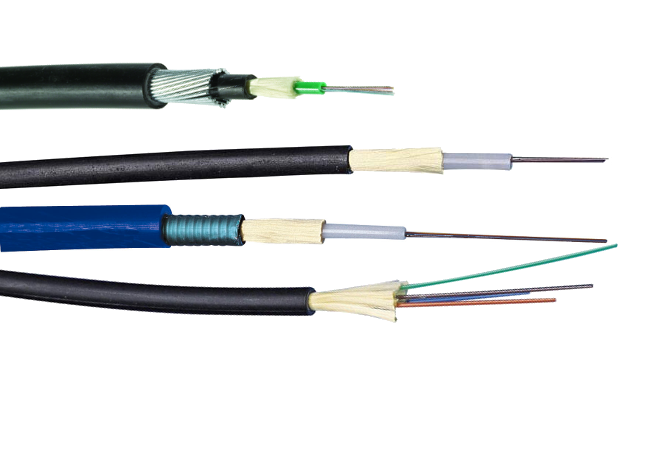 Copper continues to evolve to cope with increased demands, but each successive advance results in higher performances but bulkier cables with are more complex to install than its predecessor. 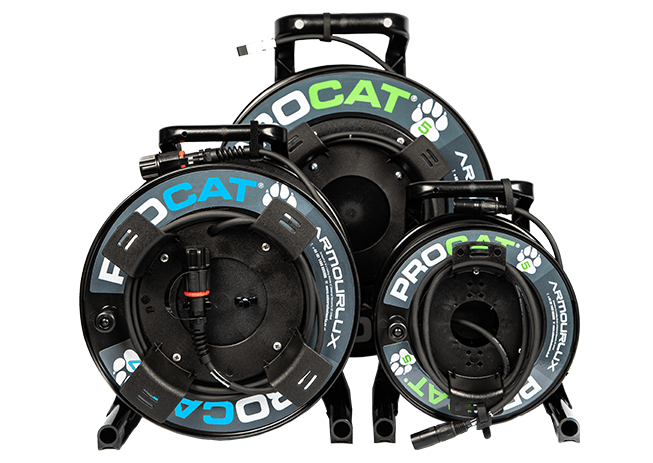 Maximum distances supported, even for the latest incarnation Cat 7, is still limited to just 100m. 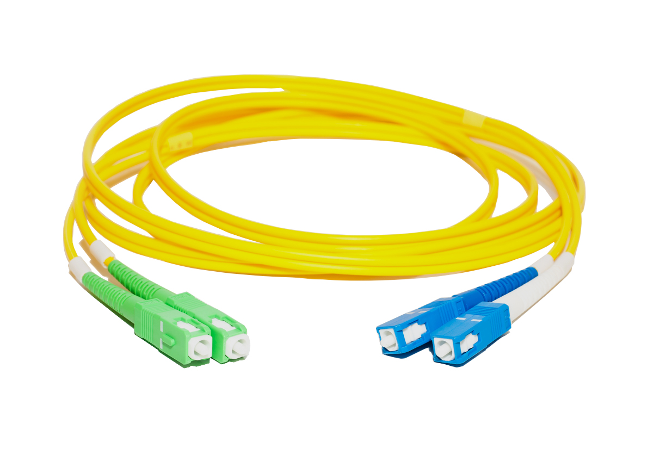 LANs (local area networks) have traditionally used fibre optics primarily in the backbone to overcome the distance and bandwidth limitations of copper cable. Most large corporate LANs use fibre backbones with copper cable to the desktop. Now more than ever taking fibre to the workgroup office or desk is a cost effective alternative. These are multicore fibre links between a central comms room to distributed cabinets (also known as a hierarchical star architecture). 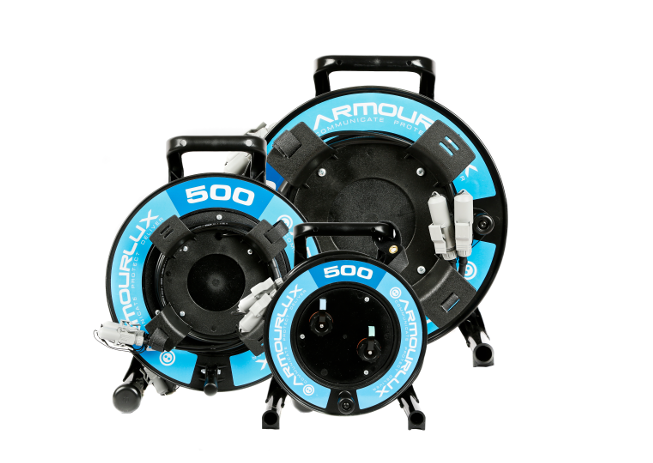 By using the extended distance and bandwidth capabilities of fibre optic cabling you can centralise the distribution of your entire network to a central point, thus eliminating the intermediate equipment rooms and creating a single star design. 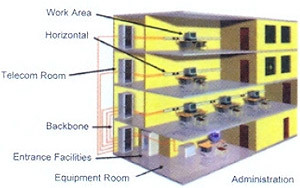 This concept is called a "collapsed backbone"
Where the collapsed backbone extends into the office, local conversion from fibre to copper occurs providing low cost copper ports for user connectivity. This can be achieved either by using small workgroup switches and structure cabling, or by dado/floor mounted switches which users plug directly into. The final evolution is fibre directly to the desktop, connecting active network users directly to the fibre cabling via NIC's or media converters. This centralised network provides the best scalability and benefits from easier network management. For the majority of installations, however, an FTTO solution of fibre and copper would provide the optimum balance of your cabling; simply upgrade the switches as technology and bandwidth requirements advance.performance and cost. 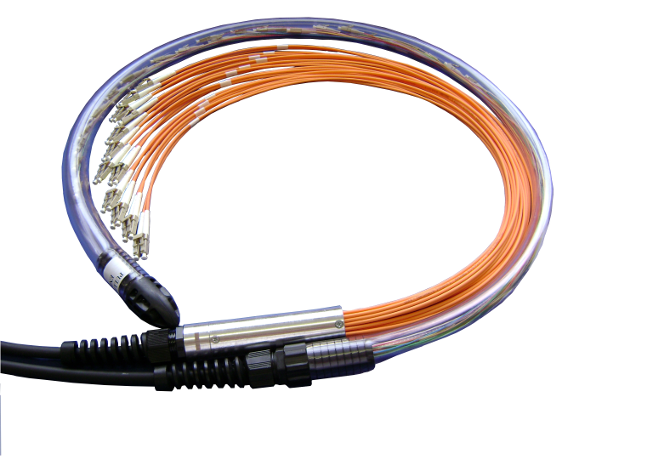 This solution protects your investment in the cabling infrastructure and offers the most scalability for your cabling; simply upgrade the switches as technology and bandwith requirements advance.